The Nokia Lumia 920 which came out as the consortium from Nokia and Windows have received overwhelming response since its launch a week back and fans are keenly searching for its release date and price. So all you desperate fans, here we come with the news on the release date and price of Nokia Lumia 920. 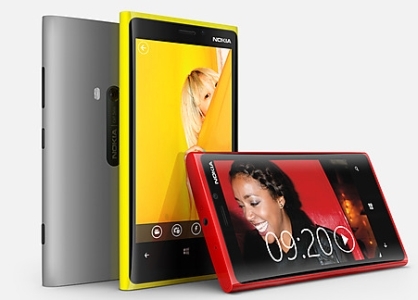 Today only Nokia has announced the release date and price of Nokia Lumia 920, the most anticipated Windows smart phone. We would like to remind you that a week back, Nokia announced the two new Windows 8 based smart phone and among which Nokia Lumia 920 was the top model. The launch date of Lumia 920 is still a big mystery for the Indian market; however the device would be hitting the European market in November at the price of Euro 600 which is like Rs. 42000. Price of Lumia 920 is quite whopping and it would be interesting to watch how the market and fans react to the price as Android smart phone like HTC One X and Samsung Galaxy S III already holds good market in the high end smart phone arena. Hitachi Data System Introduces New Solutions & Services To Make Societies Safer, Smarter & Healthier! 5 Steps To Getting Things Done In The Age Of Apps!